These are really fun and unique vintage beads. The design, which is on the front and back looks like a flower or perhaps a lace doily. 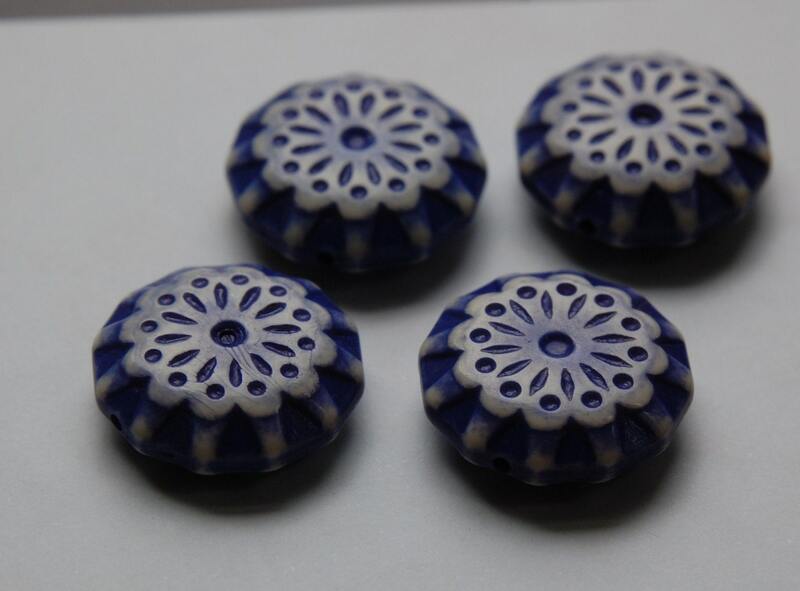 These vintage beads were made in Italy. 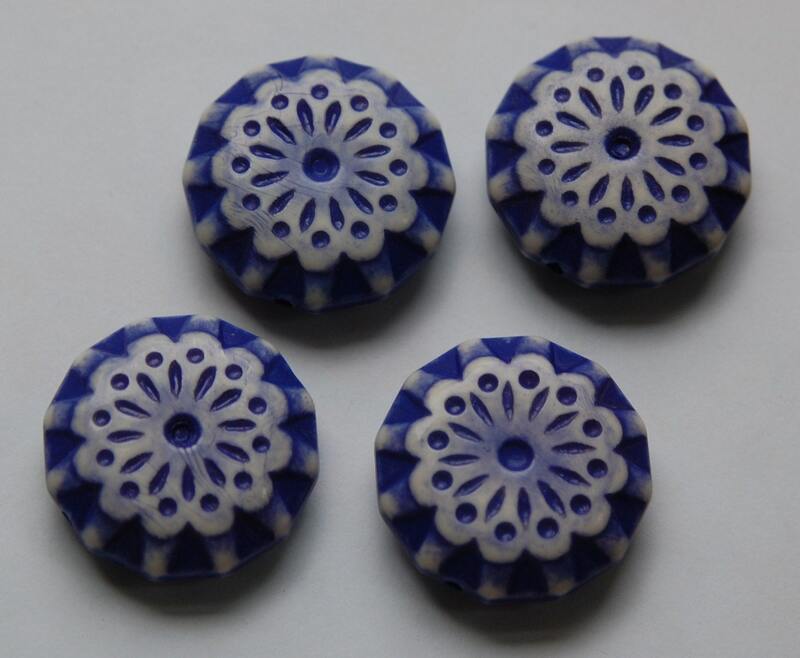 They have a round shape that gentle rises up the sides with etched like details. These measure 28mm. You will receive 4 of them. Please note coloring on these is not always uniform from one bead to the next. This is more apparent in the darker colors. I really think these are purple. Love 'em! Thanks so much - and also thank you for the super quick shipping! Item recieved. Excellent item and transaction. Many thanks!